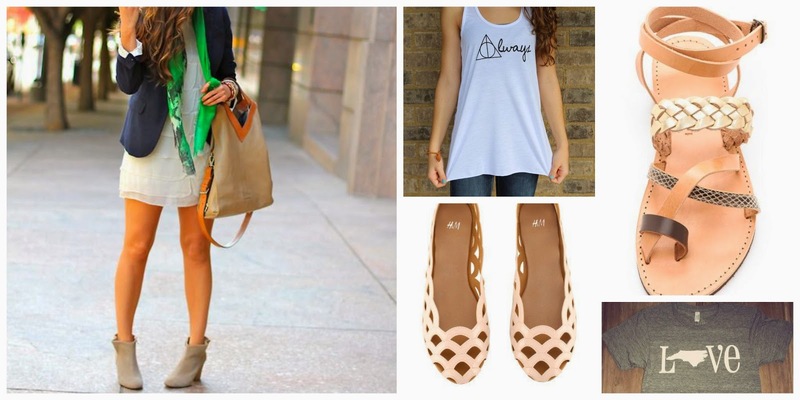 With a Side of Chocolate: Birthday Wishlist! I thiiink I mentioned yesterday that it's my birthday week and I haven't even gotten to decide what I want for it. I'm usually pretty simple and don't really ask for much. I'm more concerned with getting to hang out with my friends and do something fun together. This is my summer wishlist - I've pinned quite a few bikinis in preparation for the honeymoon since I want to splurge and get a really nice one! Both of these have been pinned for that exact occasion so if I could get them early, that's cool! 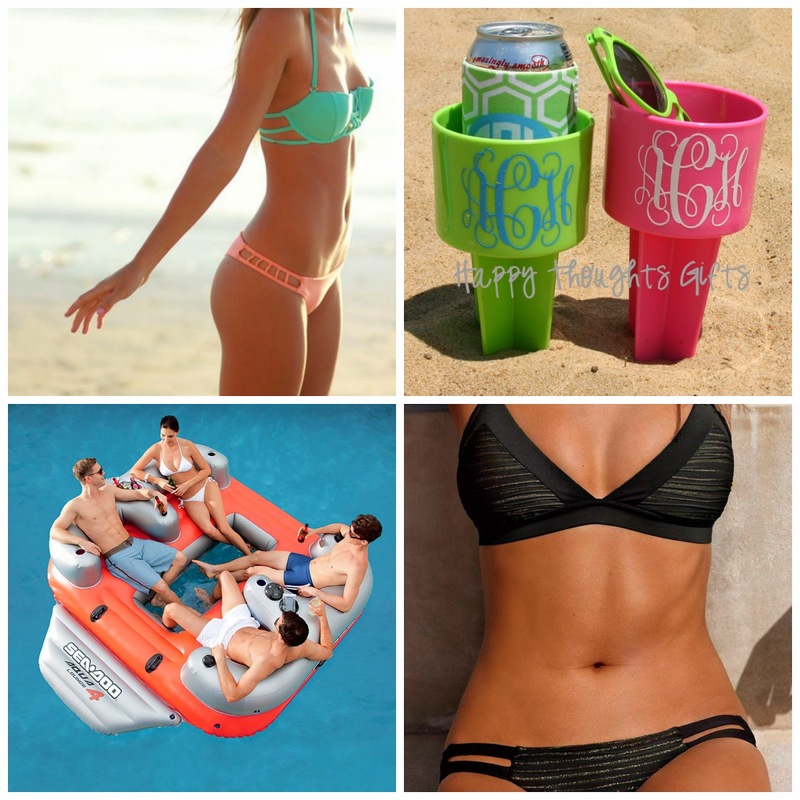 And I reallyyyy need that float for the days I plan to spend on the lake with my family and Christian. And that drink holder.. yes? That whole outfit. I'm actually going to try to recreate this in different colors since I don't have any of those things. But, I just love the way the navy and green look together! And I always want some sort of Harry Potter shirt or NC shirt for every single holiday and I've yet to get one. I think that's a sign that I should probably just buy them myself. I don't think any explanation is needed for this one. Although I guess it'd be a better wedding present? Whatevs. Firstly that picture is hilarious. Secondly, I love all your birthday picks. Can I steal your list for when it's my birthday?